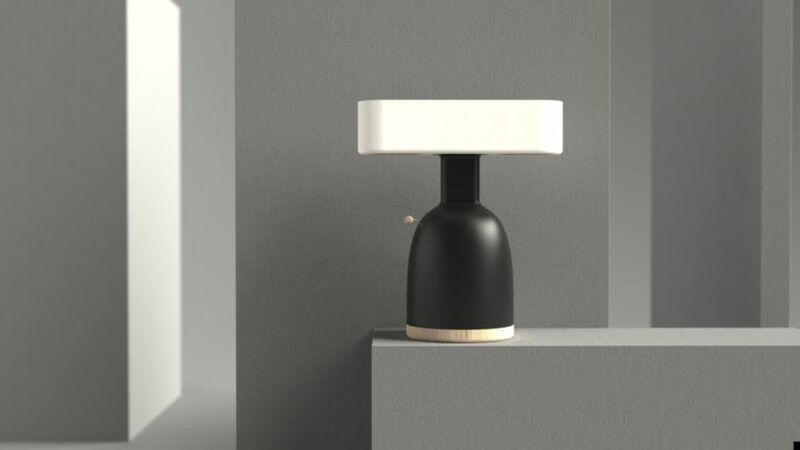 Even at quick glance, it’s obvious the Dina isn’t your everyday table lamp. 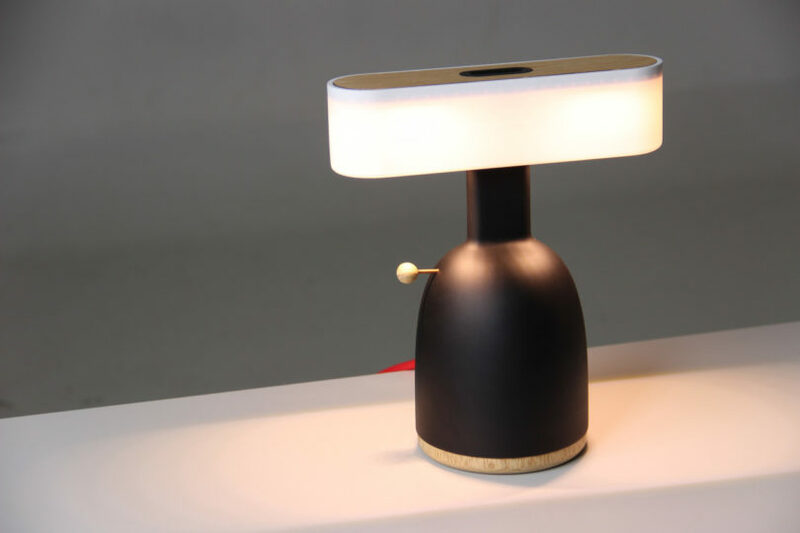 Maybe it’s the lamp’s unusual bottom heavy dimensions that first draws curiosity, or perhaps the tactile temptation of its light wood pull switch jutting in contrast from its black base. Most likely, it’s the curious inclusion of a coin slot located at the top of the lamp shade that most piques interest. The sum is an interactive lamp conceived to convert coins into illumination, and also, curiosity into thoughtful consideration about the cost of convenience. 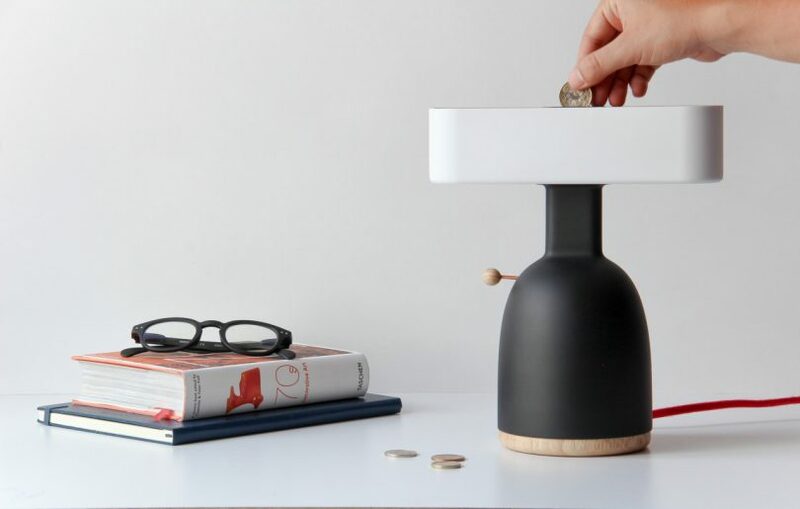 The Dina is turned off with a simple pull of its wooden sphere pull-switch, turning off the light and also dropping the coin into a savings receptacle (explaining the lamp’s unusual proportions). 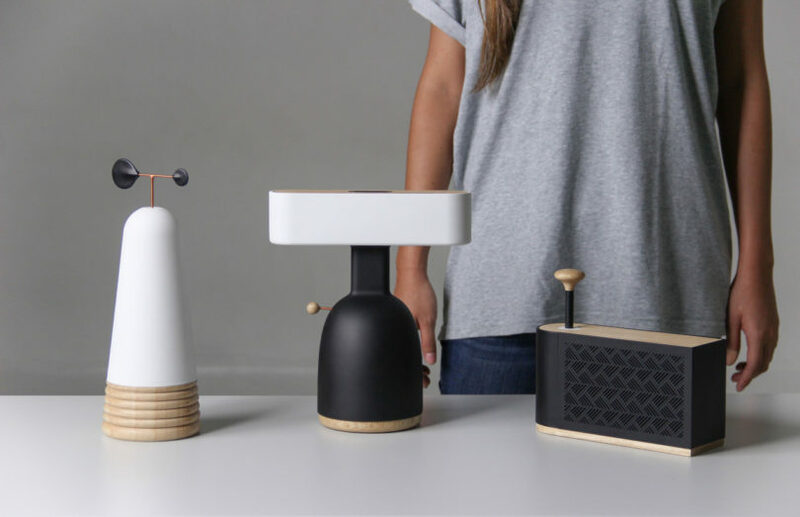 The Dina lamp is the brainchild of Colombian MOAK Studio – a team whose playful outfit of household technology includes a lamp activated by breath and a radio with a plunger-style volume control (both shown below). 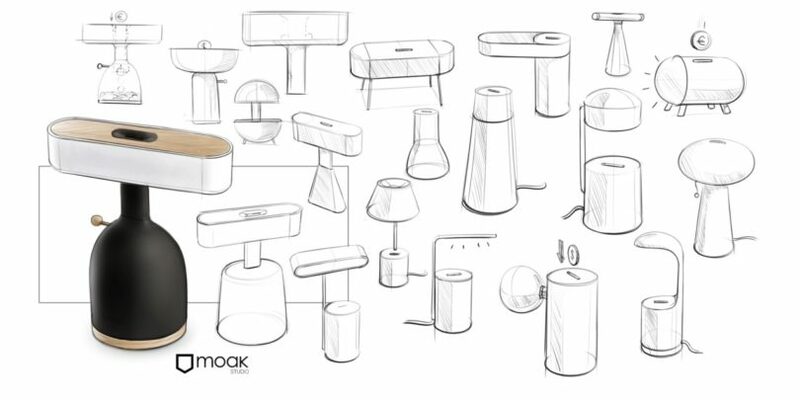 In all three instances, MOAK Studio emphasizes basic features with basic interactions between object and user. In this case, the lamp requires coins to operate, only illuminating the room once a medium-to-large sized coin is inserted. The Dina could simply be considered an arcade machine for light, turning every evening into a lesson in savings.